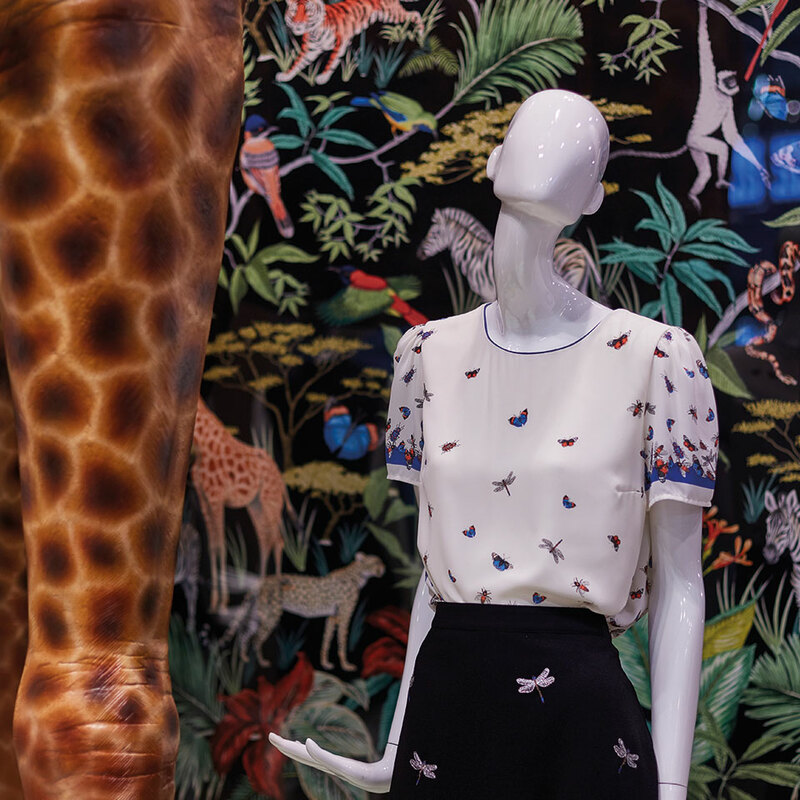 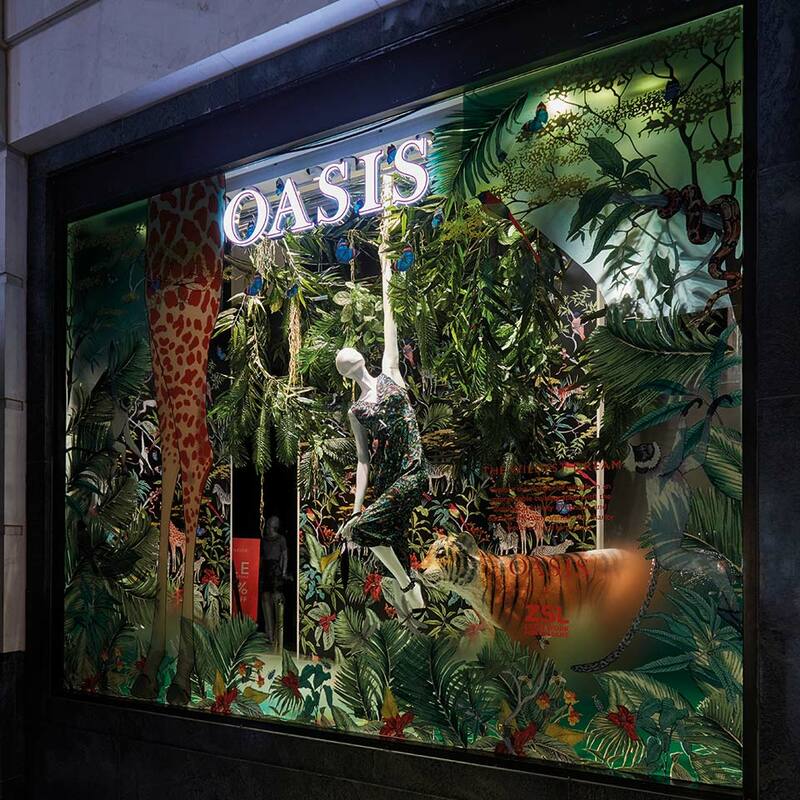 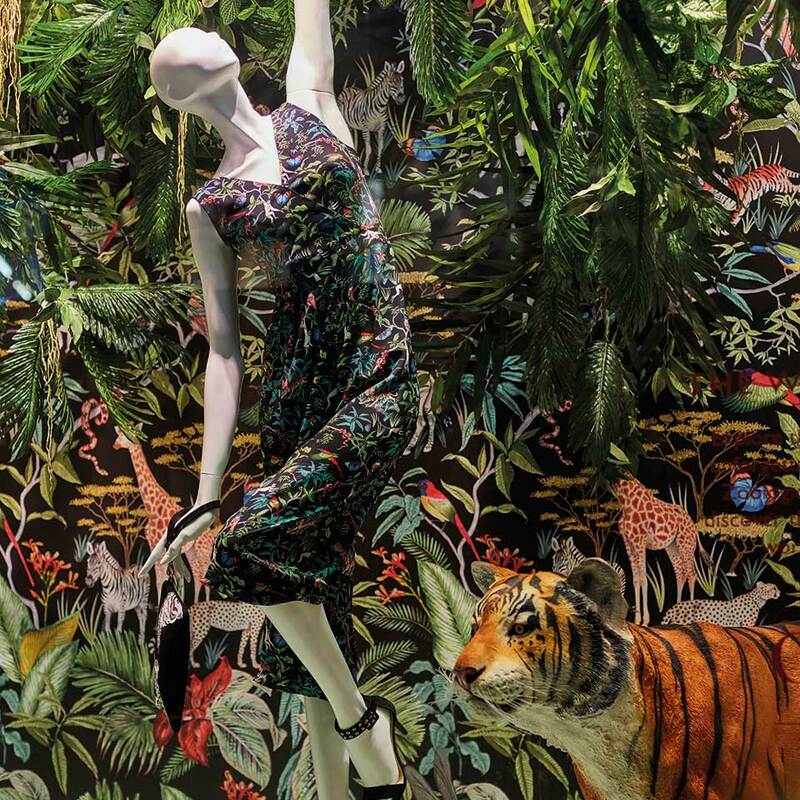 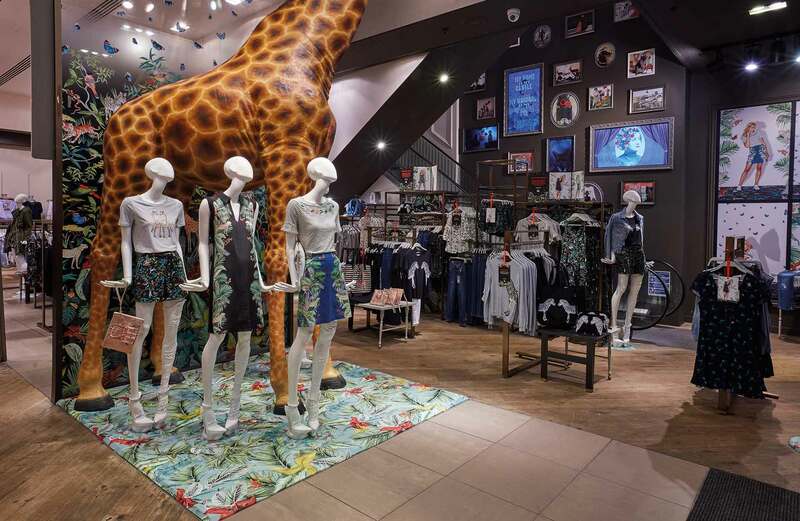 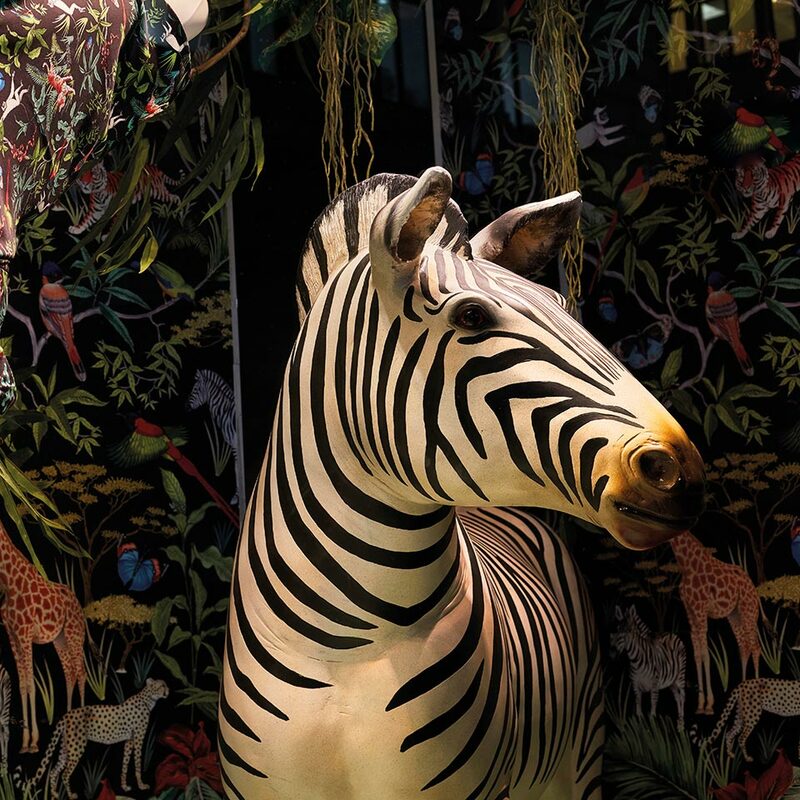 We’ve recently worked on the Oasis Fashion & ZSL London Zoo windows and in store scheme, designed by Oasis for their Argyll Street store in celebration of their recent collaboration with the Zoological Society of London. 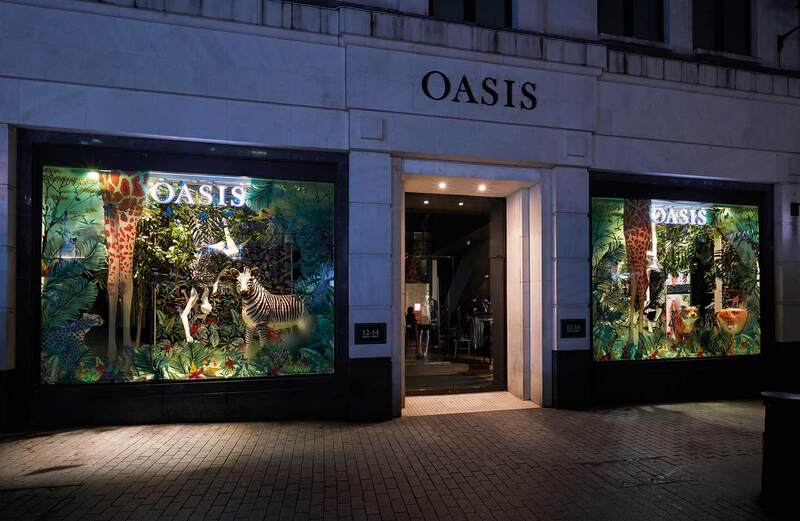 For the windows we produced hanging branches made from real Ash with artificial jungle foliage fixed to each. 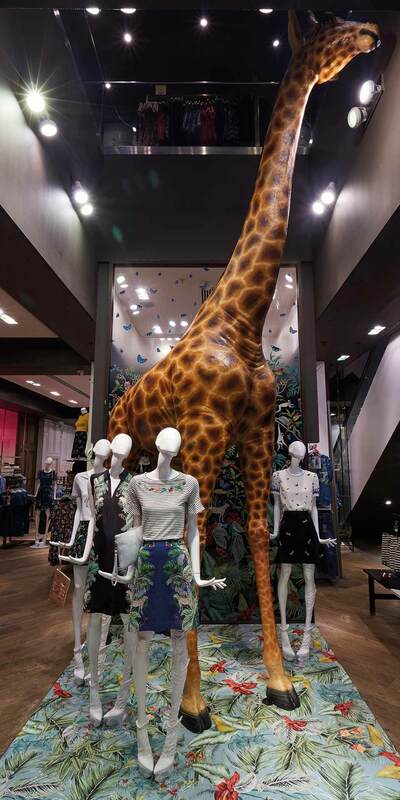 ROOTSTEIN display mannequins brought the two hanging window mannequins into production especially for this scheme which we hung in position.